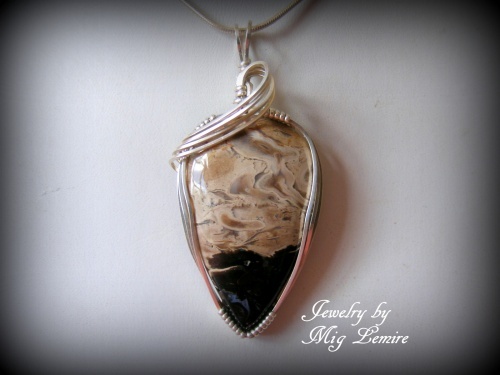 This beautiful Petrified Palmwood gemstone has swirls of marble browns and has a bottom of black making the gemstone really dramatic. Framed with an argentium silver design, this is truly a unique piece. Measures 2" from top of bail to bottom of pendant and 1" wide and comes with a sterling silver snakechain.